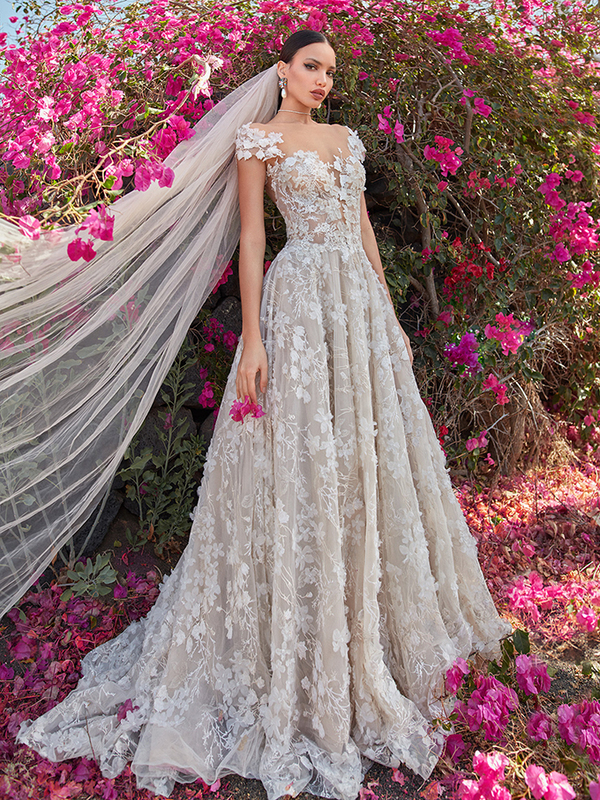 From the gorgeous plunging necklines, the lush embellishments to the beautiful intricate beading this dreamy array of luxury wedding dresses are undeniably stunning. This is where you will find the ultimate inspiration for your wedding dress. 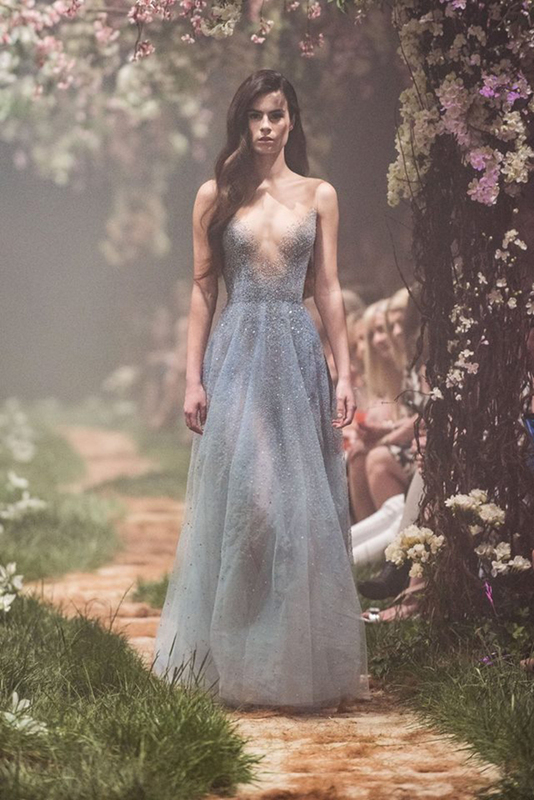 The Paolo Sebastian wedding dresses feature the signature details from designer Paul Vasileff including delicate hand embroidery and intricate beading. 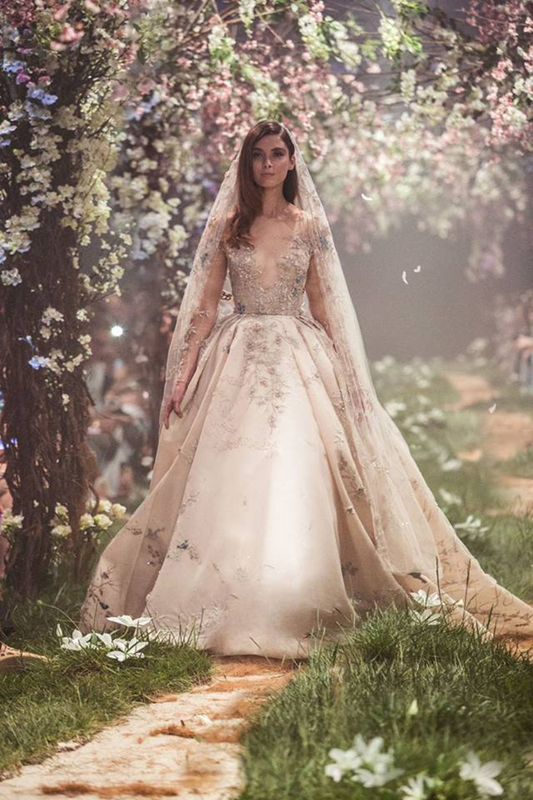 These luxury wedding dresses you are about to see are true stunners! We absolutely adore the embroidered, delicate tulle, the stunning ruffled trains and shimmery beading from the InbalDror wedding dresses. Each dress from the new bridal collection has us completely mesmerized. Vera Wang is a household name and the wedding dresses from her latest bridal collection are utterly gorgeous. From the full length lace sleeves and washed charmeuse panels to the beyond beautiful ballgown silhouette, the Vera Wang wedding dresses definitely a must see.